So far this offseason has truly been one to remember. While there are still quite a few big names left in free agency, most of the biggest names have already been signed. On the trade front, this has been one of the busiest offseasons in recent years, with a flurry of trades happening almost from the start. For a quick recap, here are the five biggest trades of the offseason to this point. The most recent trade in what has been a relatively busy offseason on the trade market, the Aroldis Chapman trade is also one of the most shocking. After a proposed trade with the Dodgers fell through, due to allegations of Chapman’s involvement in a domestic violence incident, it appeared Chapman would be untradable at least until those allegations were ruled upon by Major League Baseball. Despite a possible suspension looming over Chapman for next season, the Yankees were undeterred and pulled the trigger. Giving up little in the way of top notch prospects, the Yankees not only held on to their four best prospects, but also now have perhaps the scariest bullpen in all of baseball. Some have called the Yankees disingenuous, for capitalizing on domestic violence, but at the end of the day those allegations are just that, allegations, and as a baseball move, the Yankees got an elite player for a less than elite price. Next up is a trade that sent the Phillies only valuable trade asset left to the Houston Astros for quite a haul of prospects. While the return for Giles was quite vast, this is one trade that really was a complete win for both sides. The Astros gave up quite a bit, including Vincent Velasquez and former top pick Mark Appel, but they got a great closer who will be under team control through 2021. The Phillies took a huge step forward in their rebuild while the Astros got the closer they needed after their bullpen implosion in last year’s postseason. In the first shocking trade of the offseason, the Atlanta Braves traded shortstop Andrelton Simmons to the Los Angeles Angels. Prior to reports that Simmons could be traded, no one expected the Braves to actually pull the trigger, with even less people expecting the Angels to be the recipient of Simmons. As a trade, it appears somewhat one-sided given the Angels pretty evident needs at the time. Despite having Erick Aybar, a relatively solid option at shortstop, the Angels felt they needed to upgrade to Simmons. Not only did the Angels upgrade a position that didn’t necessarily need it, but they also used resources, in two good pitching prospects, that could have been used to help elsewhere. The Angels clearly are a better team with Simmons, but they gave up a good amount to get him. For the Braves, it was tough giving up such a great player, but they got two good pitching prospects, and also later acquired another shortstop of the future anyway. In yet another win-win trade, the San Diego Padres traded away somewhat recently acquired Craig Kimbrel to the Boston Red Sox for a good haul of four prospects. Given the Padres precarious position in the NL West, there was really no need for a closer of Kimbrel’s caliber, and financial level. The Padres actually ended up getting a better return for Kimbrel than the one they gave up when they originally acquired him, although they still have to keep Melvin Upton. For the Red Sox, they acquired the closer they wanted, solidifying the back of their bullpen while only giving up prospects that were not going to be useful at the big league level in the immediate future. On the Padres end, A.J. Preller took a big step forward in rebuilding the prospect depth that the Padres traded away last offseason. A win-win trade on both ends. Finally, the biggest trade of the entire offseason, and perhaps the most one-sided one as well. 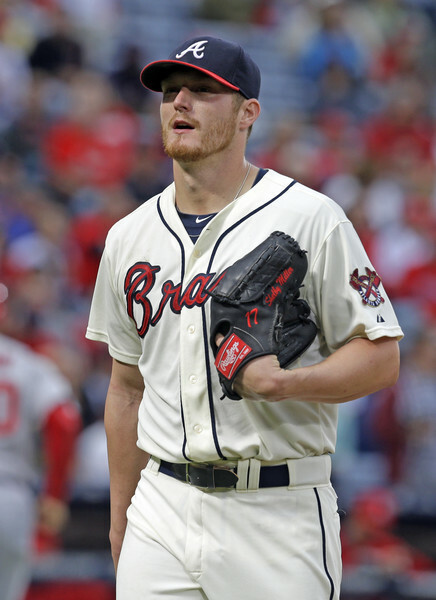 It was pretty clear that Shelby Miller would be traded at one point or another this offseason, the demand was there and the desire was there as well. The Atlanta Braves ended up traded Miller to the Arizona Diamondbacks for what has to be one of the best trade returns in recent memory. The Braves got OF Ender Inciarte, and two top notch prospects, in SS Dansby Swanson and RHP Aaron Blair in return for Miller. To say this trade was a steal is a huge understatemnet. It is clear that the D’backs are in a win-now mode, but they still gave up quite a substantial package to get a guy who will likely be their third starter. Either way, both teams are better for it, even though the D’backs gave up quite a bit of long term potential to do so. Bullpen Banter: The Banter is Back!